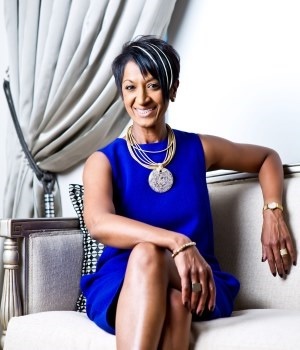 Kalyani Pillay, CEO of South African Banking Risk Information Centre. (Picture supplied). A 20% return guaranteed - fact or fiction? Johannesburg – Promoters offering high returns over short periods of time are most likely to be peddling a money scheme, said Kalyani Pillay, CEO of South African Banking Risk Information Centre (Sabric). These schemes are becoming prevalent among South African consumers. The South African Reserve Bank (SARB) has recently launched a campaign to raise awareness on such schemes. In an interview with Fin24, Pillay explained that it was important to raise awareness of these schemes among consumers so that they can avoid them. “It is impossible to guarantee high returns for any portfolio, returns depend on various factors,” said Pillay. Pillay highlighted that Ponzi schemes and pyramid schemes are still among the most popular methods used by tricksters to get vulnerable consumers to part with their hard-earned money, in some cases this could be life-long savings. Both schemes pay yields to investors who joined the scheme at an early stage, using money paid by investors who joined the scheme at a later stage. When there are more existing investors than new investors, the scheme often collapses and the money is lost. In a Ponzi scheme, a promoter offers higher returns than one would normally expect from a traditional, registered, authentic investment portfolio, she said. “It is not possible to get such high returns over a short period of time.” Returns are guaranteed, which is not possible because all investments carry a degree of risk. In the beginning, returns are paid out to encourage people to invest more. Promoters are usually quite secretive about the actual business model. Eventually the promoter becomes unavailable and returns dry up and the scheme collapses. Similar to Ponzi schemes, pyramid schemes rely on more people to join the scheme to keep them going. Returns are expected to increase as one recruits more people into the scheme. Each member collects commission for bringing in more people to the scheme. A fee or initial investment is required for an investor to participate in the scheme. The contributions made by newer investors are used to pay members who joined the scheme earlier. Eventually, there are more people in the existing pyramid than new people joining the scheme and there is not enough money to pay out returns. The scheme then collapses. Some of these schemes are pitched as stokvels. Some have a virtual aspect, and use bitcoins to sidestep banks. Promotors often approach people through SMSs, or arrange meetings such as cocktail events to convince people to join a scheme, explained Pillay. Banks normally detect schemes and inform clients to make them aware of schemes, said Pillay. However if South Africans become aware of a scheme they should report it to the police, which will carry out further investigations. Before joining a scheme or participating in an investment programme, investors should look up the organisation or promoter ensure that they are registered with the Financial Services Board (FSB). This ensures there is oversight and recourse for the investor.